People are often penalized based on how they learn, not on what they know, writes Peter Smith, M.A.T.’70, Ed.D.’83, in his new book, Free-Range Learning. Using real-life stories, Smith describes what he calls “knowledge discrimination” — this idea that knowledge is valued based on where you’ve learned something, not on how well you know it and can apply it. This past fall, Smith, a former Vermont congressman and founding president of California State University Monterey Bay and the Community College of Vermont, spoke to Ed. about life-learning and the status ladder. Why do we undervalue personal learning but reward “only educational attainment”? There are a few exceptions to that rule. The simple answer, however, is that from the Reformation forward, the academy set the rules for what constituted academic quality and content. And when fewer than 10 percent of the population had baccalaureate degrees, most of the jobs available did not require what colleges were offering and, frankly, the economic gap between those with degrees and those without was far less than it is today. And the job world has changed. The employment world has changed dramatically in the last 80 years, with increasing numbers of jobs requiring, through professional or legal means, specific degrees or certificates. There has been ongoing debate as to whether this trend was entirely necessary or simply a convenient way to “sort” people. As the “sorting” escalated, personal learning became, more explicitly, a casualty. Now, the “emerging revolution” is disrupting that traditional set of assumptions and the sorting system. Talk a little about college-based learning. College has evolved from a privilege to a necessity in the years since the GI Bill was enacted. In this process, the degree increasingly became a “signal” to employers and other third-party observers that the holder had more advanced knowledge and capacity than the nonholder. And the “status ladder” within higher education further differentiated the quality signal. And, since there was no alternative way to determine quality at scale, the academic world’s status prevailed into the 21st century. Isn’t it easier to “measure” a college degree? Historically, yes. And the “meaning” of a degree had cultural acceptance even though we all know that there was a wide variation in quality within the academy. 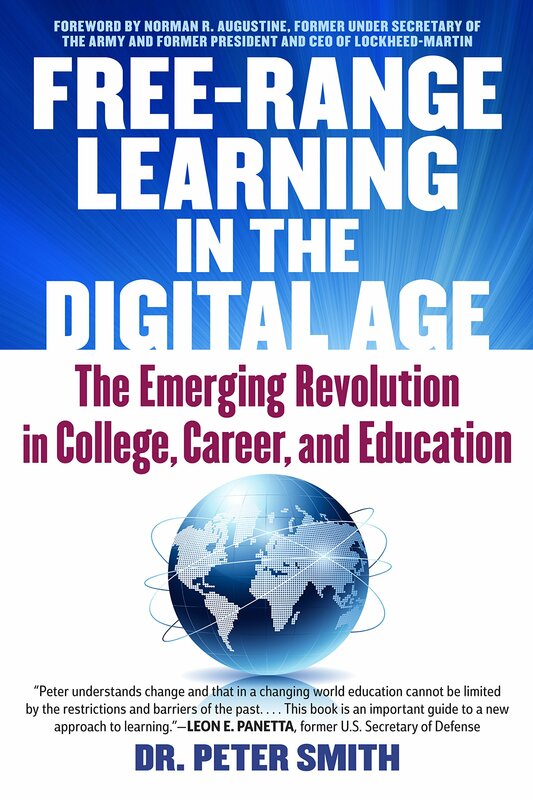 But as advanced knowledge becomes increasingly important in the 21st-century world, as the ways to gain knowledge and experience multiply exponentially, and as credible ways to validate learning are developed, the reputation and perceived value of the degree will be further disrupted. You write that our society has an enormous amount of capacity that is being ignored. That is the consequence of knowledge discrimination. Consider these three things. First, we know that the average adult spends more than 700 hours a year in purposeful, non-postsecondary learning. That’s more than 10 hours a week. Second, we know that, on average, when learners have their prior learning assessed for advanced standing, they save more than a semester’s time towards the degree. Third, we know that approximately 90 million Americans have a high school diploma but no college degree or certificate. If we assume that a third of those people have at least one semester’s worth of knowledge and ability from personal learning, using semester credit hours, that is 360,000,000 credits worth of knowledge. Although awarding the credit would be a one-time deal, the economic value to the individual and the economy would be ongoing. Conjecturally, that untapped capacity constitutes billions of dollars of value that is withheld from the economy and the lives of the people involved. That’s what Free-Range Learning is about. The early part of the book uses the words of learners who were left behind to describe the turning points in their lives that drove them to seek a transition. They also speak movingly about the kinds of services, including assessment of personal and other prior learning, that adult-friendly colleges gave them. What can educators do to help with this? That’s a tough one because high schools are so much more highly regulated and politicized on an ongoing basis. My own belief is that less reliance on testing and more focus on project-based learning that sees assessment as a pedagogy which helps learners reflect on the learning and application would be a step in the right direction. I also think that using technology to “flip” the classroom, thus freeing up in-school time for group work and using homework time to review content via technology, would be a positive step forward. What's Worth Learning in School?